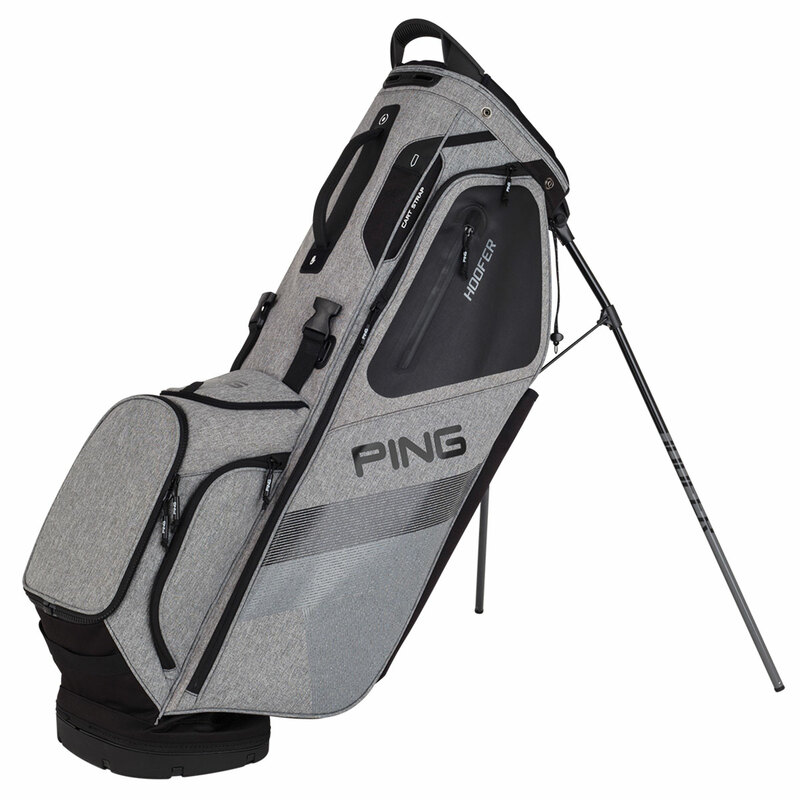 Carry your clubs in style and comfort with this superb PING Hoofer carry bag. 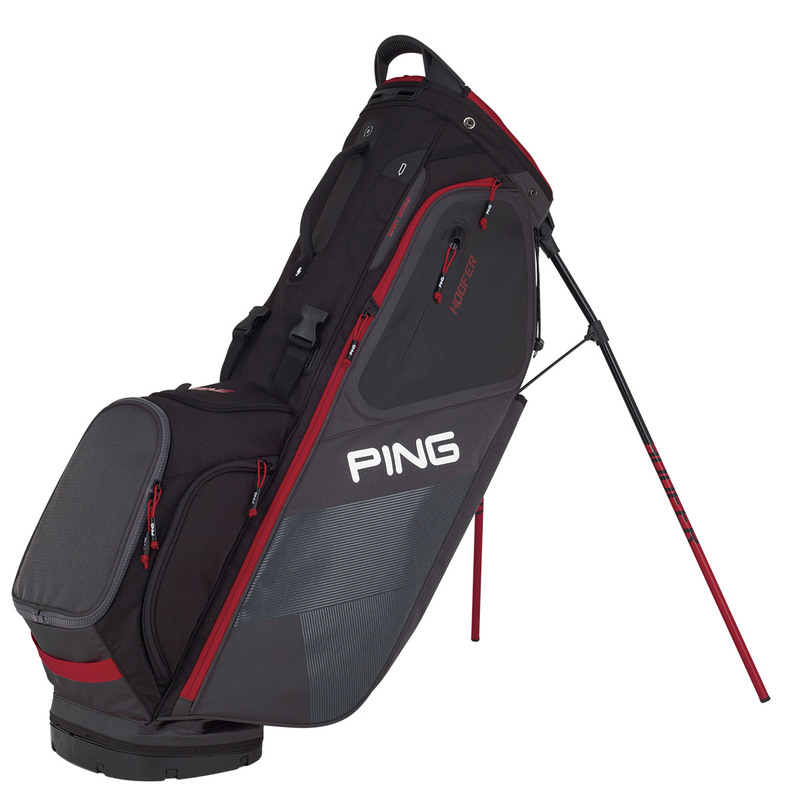 The 5-way top ensures your clubs are better organised, with a total of 12 spacious pockets that include padded valuables, range finder, water bottle pockets and a zip-off logo ball pocket. The bag has been constructed with a highly durable denier polyester material, with full-contact base and automatic stand for long-lasting ease of use. An umbrella holder ensures your umbrella is close to hand, and there is also a deployable rain hood attached inside the hip pad for added protection. The golf bag incorporates a front adjustable strap system for a custom fit, with SensorCool technology for maximum comfort while walking.